A wedding is potentially a once-in-a-lifetime occasion and you want it to be perfect in every way. But to pull off the perfect wedding, you need a lot more than just luck. 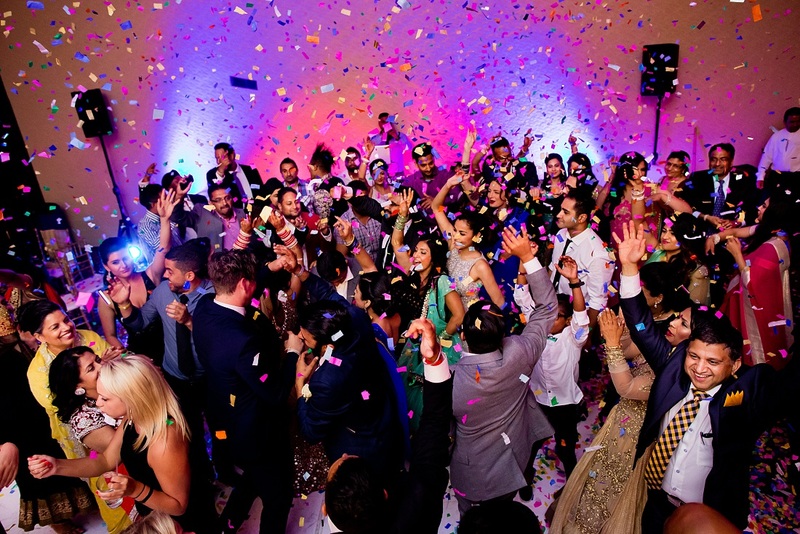 You need money and lots of it, because Indian weddings don’t come cheap. If you haven’t thought about your wedding expenses, pause for a moment and think – are you financially ready to handle the cost of a big wedding? It’s important to ask this question because it’s crucial to have your finances in order before you set out to get married. Many people save for their wedding while some prefer taking personal loans for weddings. A lot of people do both to ensure they are not victims of last-minute surprises. Here is everything you need to know about personal loans for weddings and whether you need one or not. If a wedding is elaborate, the expenses can be massive. From venues to catering, outfits for your entourage to entertainment, every aspect has to be taken into consideration. Most people make the mistake of exhausting their entire savings to have the perfect wedding day. Wiping out your entire savings for one day is never advisable. A safer alternative is personal loans for weddings. Here’s why. • Wedding loans are easily sanctioned, and the amount is disbursed to you within five working days. This makes it easier to plan for your wedding in advance. • The loan application process demands minimal documentation. • The loan amount can be used to cover various wedding expenses like the venue, decoration, catering, lighting, jewellery, etc. • You can decide the repayment tenure according to what suits you. • There is no risk to assets since personal loans for weddings are collateral-free. However, before you think a wedding loan is the best way to go, have a look at the pros and cons of it. • Easily obtainable: If you have a good credit score, it is easy to get personal loans for weddings. • Attractive interest rates: If you have a good credit score, you can enjoy a low interest rate on your loan. • Flexible repayment options: You have the choice to select the EMI you are comfortable with. Also, you can choose your repayment tenure that can range from two months to five years. • Interest rates can be a problem: If your credit score is low, you may have to pay a high interest rate on personal loans for weddings. • You start your married life with debt: You are setting yourself up for a rocky beginning if you don’t have the means to repay the loan comfortably. • Credit score impact: Your lender performs a credit check that is considered a hard inquiry on your credit report. Your credit score may drop, regardless of whether or not your loan is approved. • Make a wedding budget: You’ll get to know how much you have and how much you’ll need. • Don’t borrow more than you require: Don’t get greedy just because you’re getting a loan easily. Remember, you have to pay it back. • Compare various personal loans: Check for interest rates, additional charges and processing fees. • Have your financial documents in order: Keep them ready to ensure a smooth loan application process. • Keep EMIs in mind: Choose a repayment option that is comfortable for you and your partner. A wedding is a magical event, but it can be expensive. Fortunately, you can afford a dream wedding without spending all your savings. That said, keep in mind that you should step into your new life with joy in your heart. Taking on debt unnecessarily can dilute your happiness. So, get a personal loan only if you absolutely require it and if you have the ability to repay it. Shiv Nanda is a financial analyst who currently lives in Bangalore (refusing to acknowledge the name change) and works with MoneyTap, India’s first app-based credit-line. Shiv is a true finance geek, and his friends love that. They always rely on him for advice on their investment choices, budgeting skills, personal financial matters and when they want to get a loan. He has made it his life’s mission to help and educate people on various financial topics, so email him your questions at shiv@moneytap.com.